I plan on playing in the WH40K friendly at Adepticon next year, so I looked at the rules from last year and discovered you could get bonus points for including a full strength unit of a unit that isn’t used much. The choices for guard were a full unit of ogryns or rough riders. 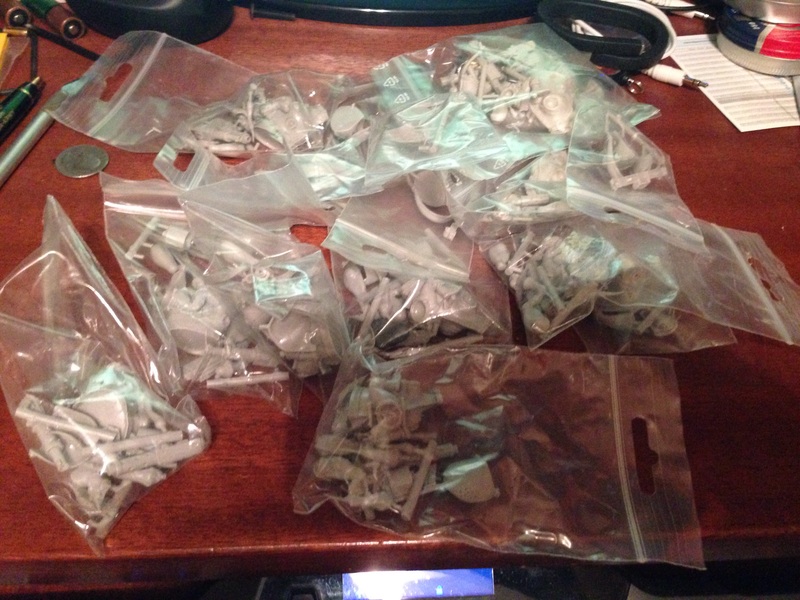 Ogryns would have been the easier route as far as models go – however 3 boxes of them would have been nearly $150, and eat up 400 points of my 1500 army list. That’s a big investment both financially and points for a sub-par unit. So my next option was rough riders, 10 rough riders with two melta guns weighed in at 130 points – this seemed to me like a no-brainer, they were faster than ogryns, better armed, and might actually make back their points if I was lucky. Now the next problem – I run my IG as Blood Axe Orks, so I had to figure out how to model this unit. I looked at GW’s Warhammer Fantasy orc boar riders, but these just didn’t feel right – Blood Axes wear modern military garb; chainmail and sabatons were just not going to cut it with the way my army was themed. Bikes are bikes and not cavalry, so I tossed out that idea as well. So to Google I went. I found some cool stuff for a human IG army, the monowheel from Tobsen77 would be awesome for Rough Rider for humans, or even squats. Unfortunately, these things weren’t beefy enough for Orks – then I found an image from a site called Blight Wheel Miniatures that looked like a giant squig! Much to my disappointment, there were only 3 riderless ones in stock, so I emailed the site owner, and he quickly responded and enabled me to buy the 10 models I needed. I paid for my minis and prepared myself for the wait (the vendor is based in France, and I’m in the US). Considering the distance, the package came fairly quickly – it was delivered in a sturdy box with plenty of tape. Inside, the package was lined with plenty of bubble wrap, and the base model components and special components were in individual bags. 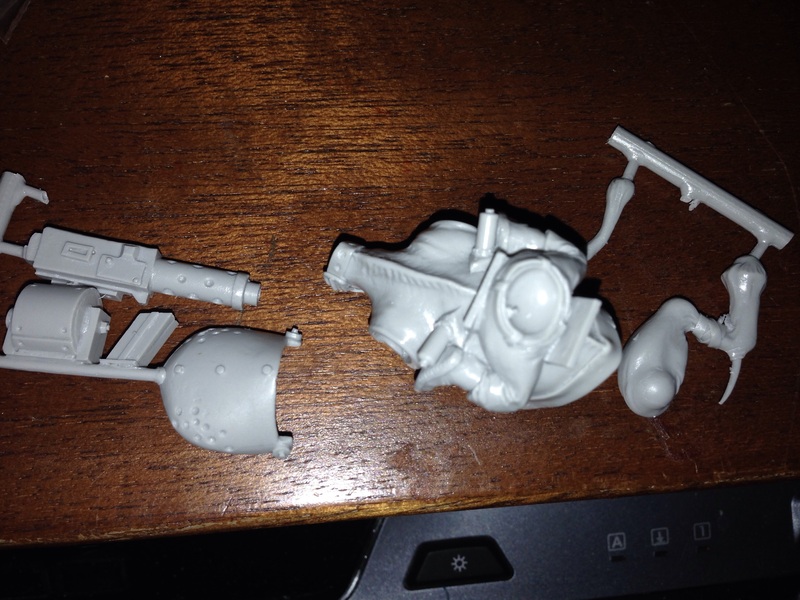 The scuplts were awesome, very clean with hardly any flash or mold lines – I’ll be able to get right to the fun stuff – assembling my squad! At 12 Euros apiece, they may seem a bit expensive, but it includes postage, and you get a lot of bits with them. The detail on these minis is also top-notch! Plus, as I mentioned before, there is minimal work involved to clean these up. I also like that the legs are permanently attached to the beast. 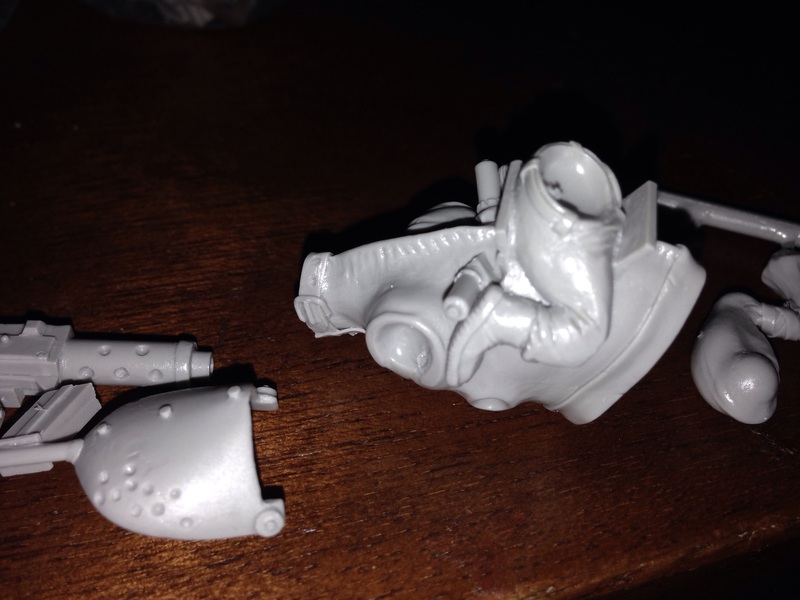 I’ll be using the standard 40K ork bodies and arms with heads from Kromlech for my rough riders. Next, building the perfect beast!